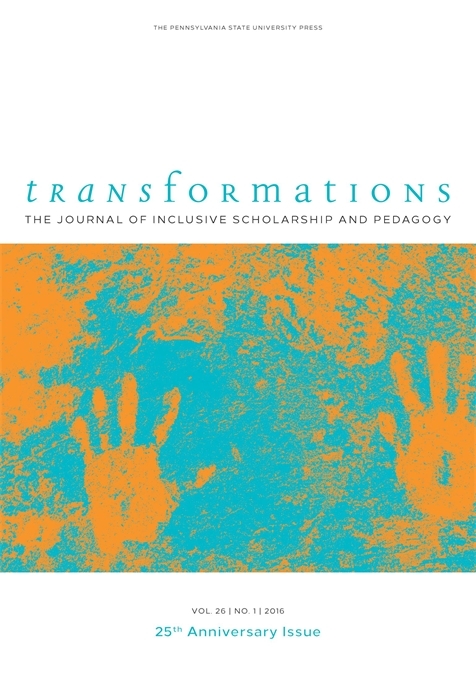 The editors seek articles (6,000-10,000 words); methods and texts essays (3,000 to 5,000 words); photo-essays, and contributions to our new “Teaching Failures” section (2,500-5,000) for the forthcoming issue of Transformations. Submissions should explore strategies for teaching in the classroom and in non-traditional spaces. We welcome jargon-free essays from all disciplinary and interdisciplinary perspectives. Articles should explore teaching in ways that emphasize students’ perspectives and classroom dynamics. Authors should engage relevant scholarly sources and theories. Methods and texts essays should analyze specific teaching strategies, tools, and/or resources. Photo-essays should include no more than 12 images (500 ppi, jpg or .tiff files). An interpretative statement that provides context for the images (300-500 words) and captions of 50 words or less should also be included. Note that images can be reproduced in black-and-white only. Photo reproduction rights should be secured prior to submission.